I’m an extremist. I like excess, but I like restraint too. Sometimes, when there’s too much to choose from I get choice paralysis. If I’m not careful, when I’m at the grocery store, I’ll buy a bit of everything and realize that I don’t have ingredients to make any specific thing. It helps if I bring along lists or have a clear idea of what I’m going to make. Sometimes though, I make the best things when I’m restricted. 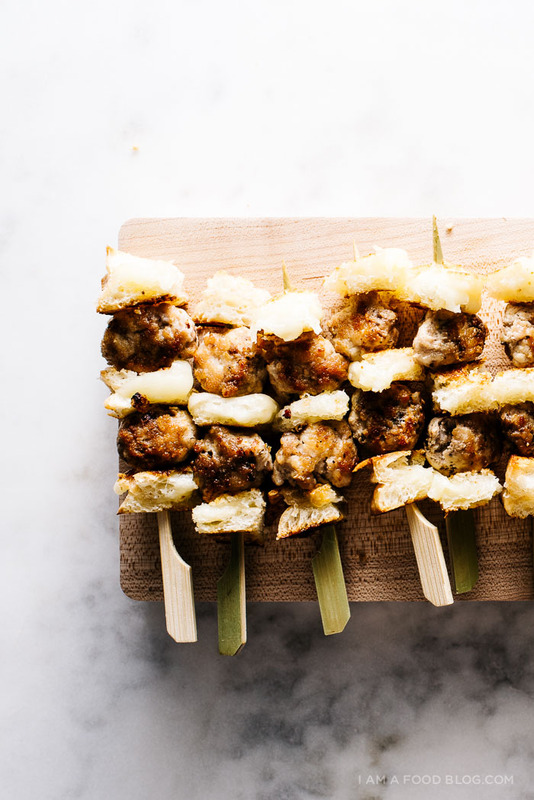 Take these little spicy chicken meatball and grilled cheese skewers, for example. They’re made with just four ingredients (well, seven if you count oil, salt and pepper). Last year, I participated in the Tabasco 10 challenge where I created 5 recipes with only 10 ingredients. I had a blast, and when Tabasco approached me to create the list of ingredients for this year, I was stoked. I chose: Tabasco (original, jalapeño or chipotle), chicken, eggs, mozzarella, fennel, zucchini, rice, rigatoni, ciabatta, and honey. It was a lot more difficult than I thought it would be to come up with a list so I’m excited to see what everyone makes! I hope you check out some of the other bloggers participating in #Tabasco10 this year: Fix Feast Flair, Crepes of Wrath, Flourishing Foodie, Brooklyn Supper, Real Food by Dad, Climbing Grier Mountain, Host the Toast, Shared Appetite, The Lemon Bowl, and The Novice Chef. PS – What would you make with these ingredients?! Mix together the chicken, tabasco, salt and pepper. Form into small meatballs. 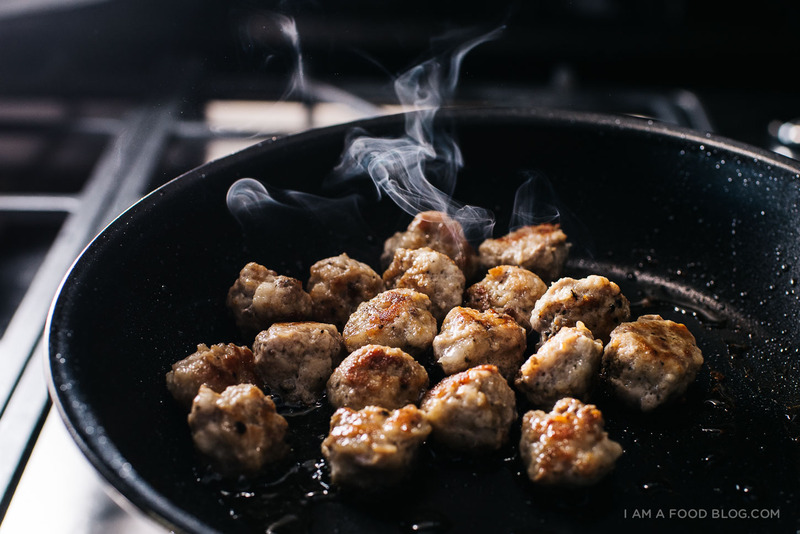 Heat up a touch of oil in a frying pan over medium-high heat and cook until meatballs are browned and cooked through, flipping as needed, 5-8 minutes. In another pan, heat up a touch of oil over medium heat. Lay down a slice of ciabatta and top with shredded mozzarella. Top with the remaining slice. Grill until the bread is golden brown and the cheese is melted, flipping once, about 3-4 minutes per side. 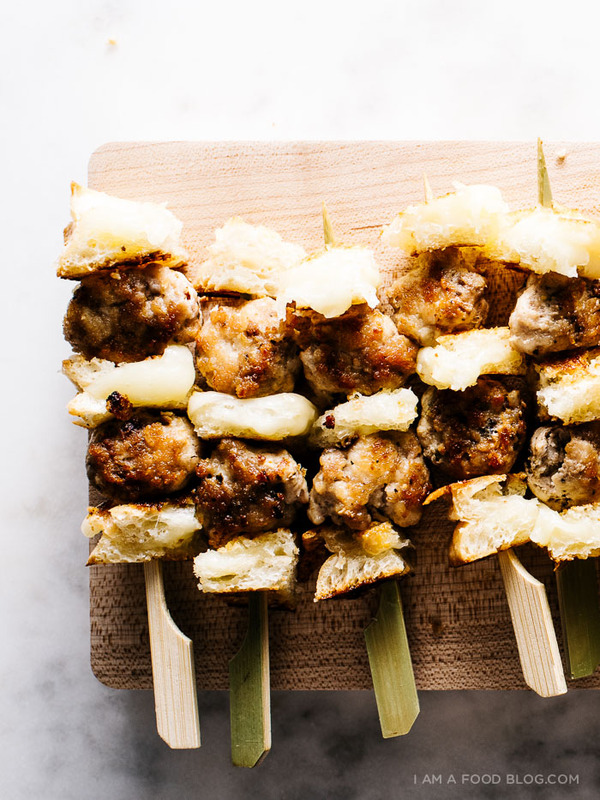 Cut the grilled cheese into tiny cubes and skewer, alternating with chicken. Repeat as needed and enjoy with extra tabasco, if desired! This post was sponsored by the Tabasco. Thanks for supporting I am a Food Blog! Cheese, meat, bread, and spice? These are all my guilty pleasures! With those ingredients, I would love to make a fried chicken sandwich with honey hot sauce. 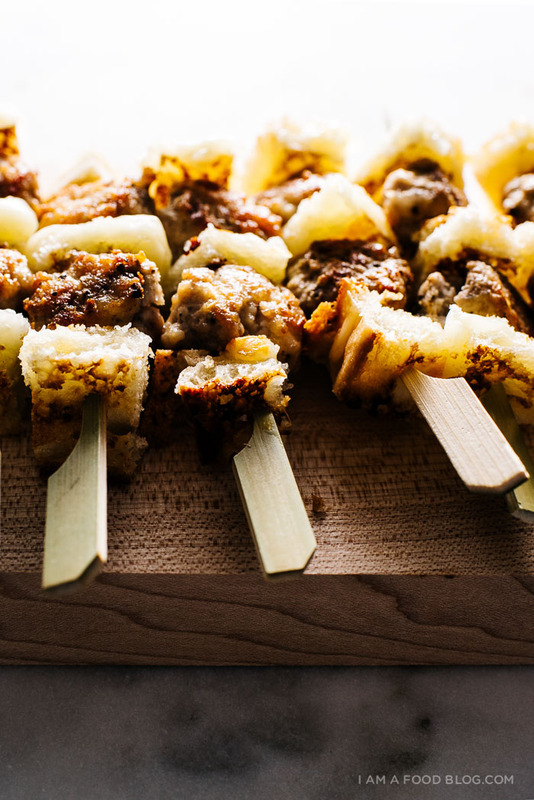 There’s just something about food on a stick. 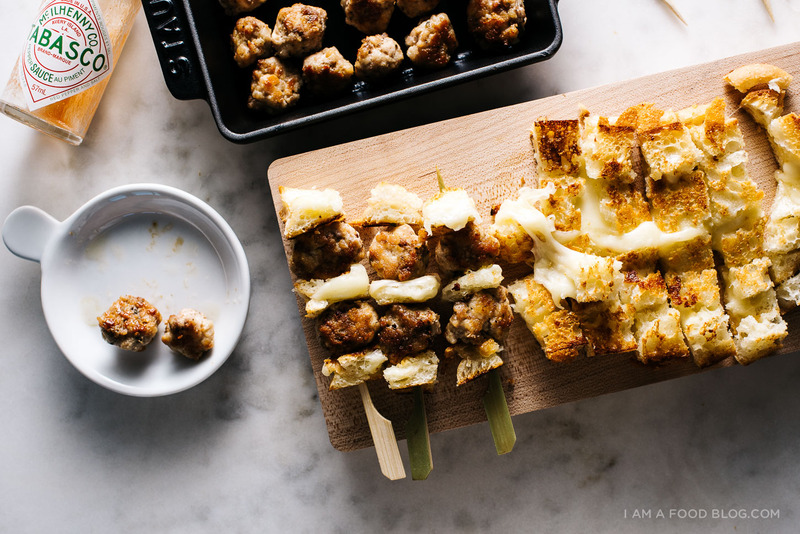 And when that something is spicy meatballs and grilled cheese, I’m all in!! i kind of skimmed on the first pass, and missed the part where you wrote it was 5 recipes (and thought it was 1). i was ready to say i’d dump everything into a casserole, rice and rigatoni and all. oops. 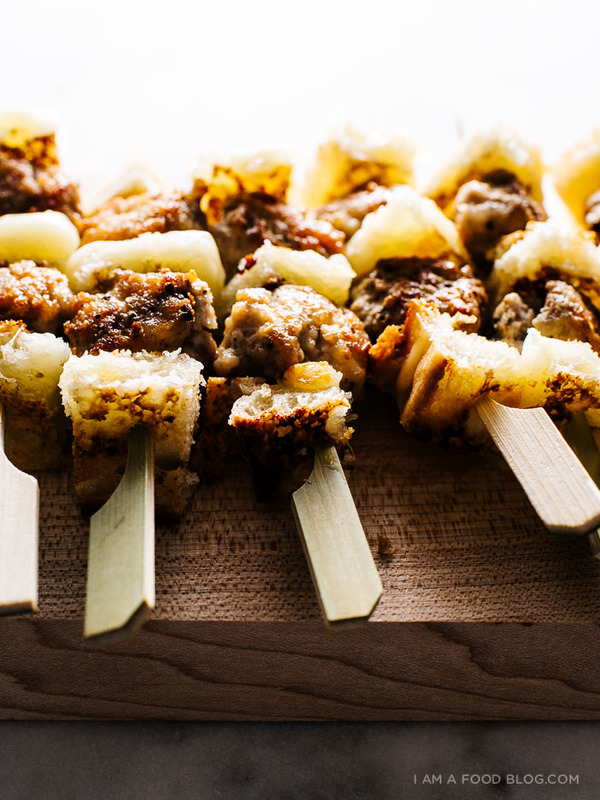 Great idea to make them skewer-style!! These look great. I am so excited to see what else you will create. Congratulations on being elected to choose the ingredients this year. 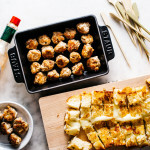 I didn’t even think of ground chicken! I love it – these sound delicious and the presentation makes me feel like I’m back in an izakaya in Tokyo. So cute! 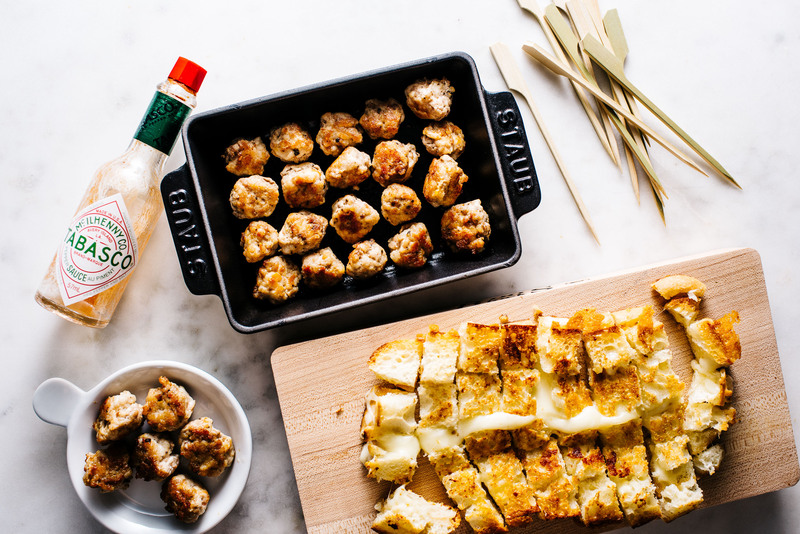 I love meatballs, I love hot sauces and I love grilled cheese. Never thought about combining all of them together. I think I am going to try and make these for a college pot luck or just for fun. I may have to dial down the hot sauce because everyone is not at my level yet. I can’t wait to try this out! Thanks! !